Must Love Corsos Rescue information is one of its vital assets. The purpose of the Information Security Policy is to protect this asset by establishing group and volunteer responsibility for the protection and use of information. It is the policy of Must Love Corsos Rescue to protect its information assets and allow the use, access and disclosure of such information only in accordance with Must Love Corsos Rescue interests and applicable laws and regulations. All volunteers providing services or working with Must Love Corsos Rescue information are responsible for protecting it from unauthorized access, modification, destruction or disclosure. “The Must Love Corsos Rescue Information” is defined as any information within its purview, including information which it may not own but which is governed by laws and regulations to which the Corporation is held accountable. It includes all adopters record data, all personnel data, all Must Love Corsos Rescue financial data, all administrative data, and donor data, and all other data that pertains to, or supports Must Love Corsos Rescue. This data may be facts, records, reports, planning assumptions or any information meant only for internal use. Data collected will be, but not limited to: E-mail addresses, phone numbers, names, home addresses, driver’s license information, and any other data that is required to determine the suitability of Cane Corso adoption/foster. This policy encompasses the safekeeping of Must Love Corsos Rescue information in whatever physical form, such as printed, audio, video and electronic. Must Love Corsos Rescue “Information administrators” shall develop and administer information security programs that appropriately classify and protect information under their control. The protection of Must Love Corsos Rescue information must be part of the overall business plan. Information administrators are responsible for: Establishing access to and utilization criteria of data to be protected. Define the criteria for archiving and/or storing the information to satisfy retention requirements. Determine the value of proprietary information to the functioning of the Must Love Corsos Rescue and defining reasonable requirements for protecting the asset. Develop a workable plan for resuming operations in the event a disaster destroys the information. Your privacy is very important to us. Must Love Corsos Rescue respects your concerns about maintaining strict privacy. 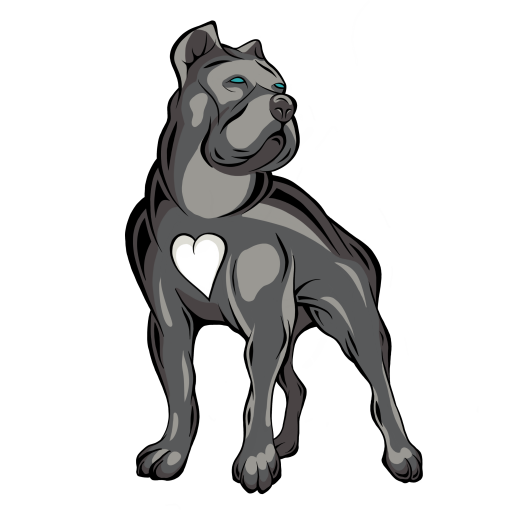 Any information that you divulge to us is kept in confidence, and used only to help determine the suitability of a Cane Corso adoption by your household. We also use various forms of the data for mailing information to you about us, and also for fundraising efforts by our group. We do not provide this information to anyone else unless you give us permission.